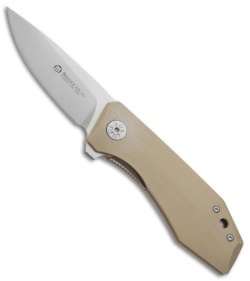 This AM3 folder has a satin finished blade and a coyote G-10 handle. 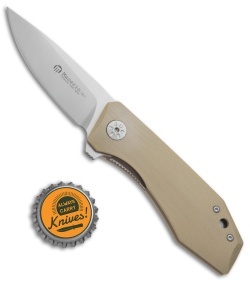 The Maserin AM3 is a lightweight gentleman's folding knife that sits comfortably in jeans or dress pants. Its blade is made from resilient Bohler M390 stainless steel with a flipper opener and subtle jimping on the spine. Lightweight G-10 offers durable handle construction without weighing you down. 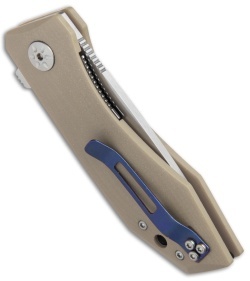 This classy knife comes complete with a blue anodized titanium pocket clip for everyday carry. Bohler M390 blade provides exceptional corrosion resistance and cutting performance. 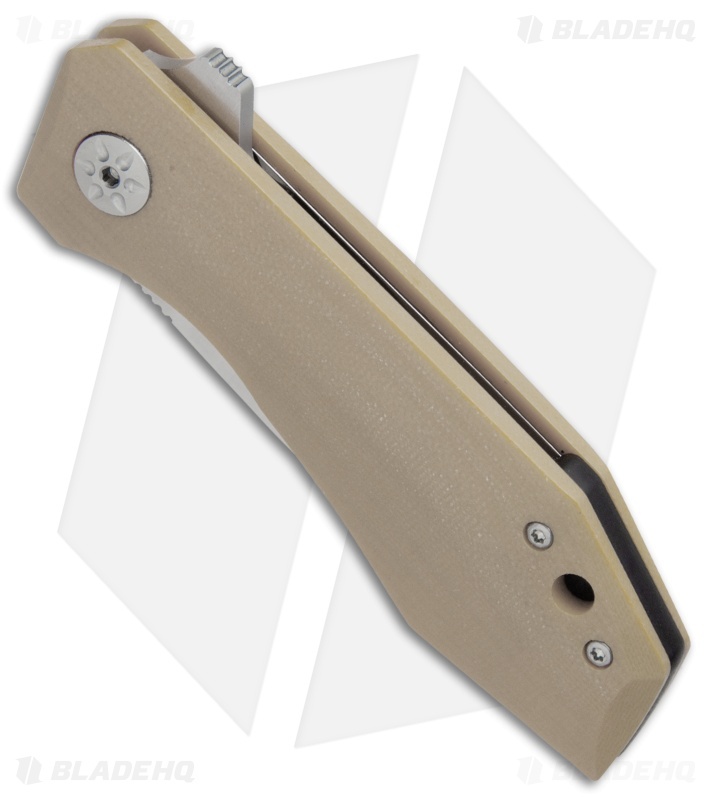 Thurst bearing pivot system offers smooth and responsive one-handed blade deployment. Lightweight build and secure titanium pocket clip for convenient carry.